In 1985 in the back of an art gallery in New Hope, PA (the Village Gallery) Village Drapes was born. 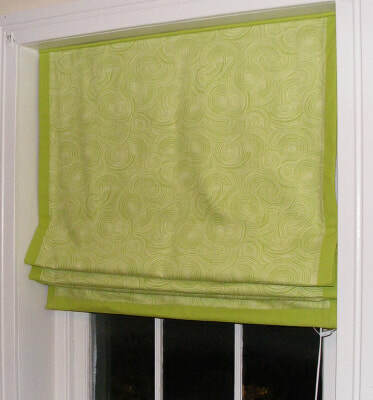 This custom drapery workshop has moved a few times, weathered the ups and downs of the economy, and have seen many trends in window fashions come and go. One trend in particular they noticed in 2003 was that silk fabrics were becoming popular and their sewers really enjoyed working with this natural material - as opposed to the synthetics that they were also seeing. They started offering custom silk draperies direct to the public and the response was excellent. Looking for other natural and sustainable materials they added linen and organic cottons. This quest brought them to Harmony Art. In the last 10 or so years they have seen a further shift in the materials being brought into our shop by local designers with almost all of the fabrics now being synthetic or synthetic blends. While there are some specific applications for these materials, using natural and organic textiles is always preferable from an environmental and health standpoint - and they are much nicer to work with too! If you have any drapery needs - Village Drapes is your one stop shop. They offer all of the Harmony Art organic line to their customers and are proud to be made in the USA. Specializing in custom window treatments, bedding, reupholstery, new upholstery, and slipcovers. Creating healthy sustainable homes to nuture your spirit. Ultra green bed and breakfast in the Berkshires with organic beds and linens in eight artist decorated rooms. Green Interiors provides healthy organic window treatments, upholstered furniure and pillows, as well as flooring and healthy paints. Design services available. Custom drapery workroom committed to providing the highest quality of production and materials at designer direct prices. "Whether we're revamping your current home or moving you into a new one, let's have fun with it, make it gorgeous, and make it work best for you." Custom couture and fashion consultant. Evening and bridal wear that evokes pure, modern femininity with extreme attention to detail. Creating comfortable, healthy, beautiful environments for your family or business. Specializes in using materials and resources with the lowest impact on our planet. Dedicated to providing clients with an enjoyable design experience that is fresh and unique. Greener Lives, LLC is a licensed interior design firm that specializes in healthy and eco-friendly interiors. BEW Productions is a full service production company that specializes in event production and logistics for wedding, corporate, music, food and wine events. Beauty, Health & Harmony ~ Inside/Outside Eco Consultation & Design. Build It Green Certified, Graceful Lifestyles Certified Feng Shui ReDesign, GreenAP. On site, By Telephone. Sustainable Home is a full service design firm, working primarily with residential projects. Small Blue Planet focuses on helping people and organizations create high quality and environmentally friendly, events, conferences and retreats. 100% organic cotton crib quilts. Quilts can be custom made in any size for special people or occasions or rooms. Custom wedding (or special occasion) apparel design. Exceptional dresses. Custom made for modern times.